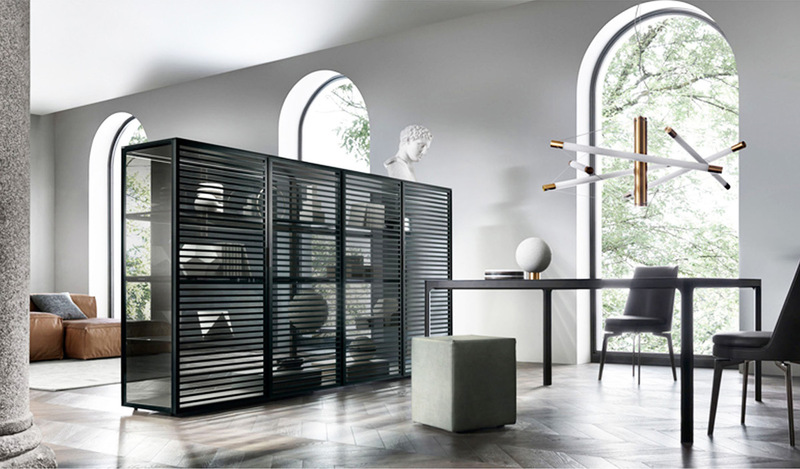 Alambra is a storage system defined by its lightness and transparency. 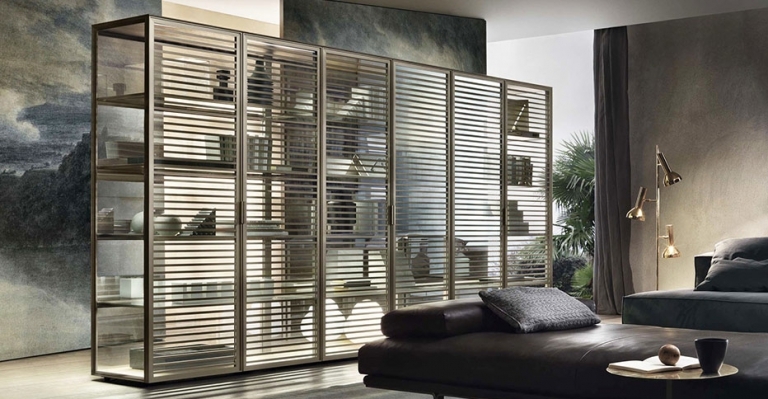 Alambra’s doors have horizontal crosspieces which minimize the aluminum structural thickness, thus maximizing the visibility of the clear glass and the LED lighting system which is built into the shelving. 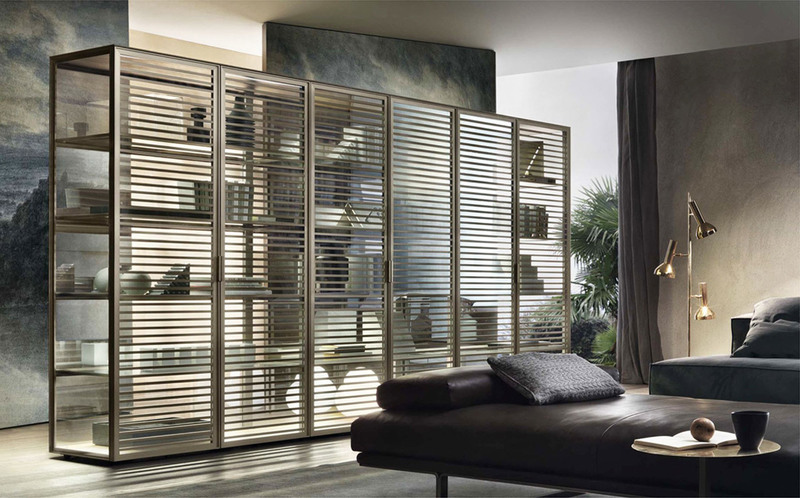 The Alambra system is available with a floor base or with legs and two, four or six doors. The collection is available in five widths and five heights. 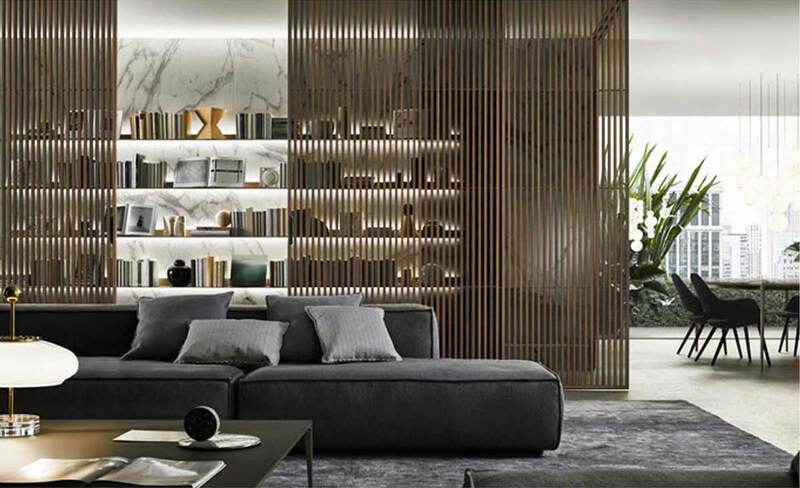 The aluminum structure comes in a variety of finishes and colors with matte or lacquered glass shelving. 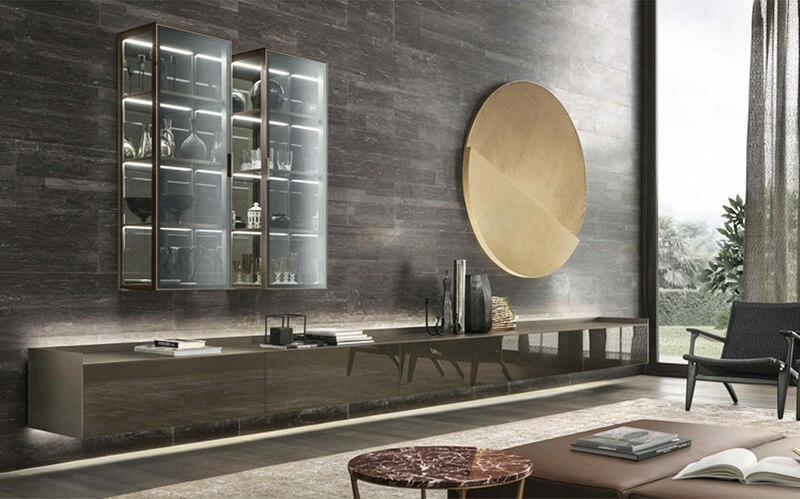 For more information about the Alambra Collection, email us at sales@arksf.com or give us a call 415.565.7200.